Discussion in 'Tools' started by Homemade, Nov 2, 2018.
srcarr52 We can't stop here, th1s is bat country! Yes the demand for big lathes is going away. The Monarch my dad had was used for making driveshafts for big trucks. And some side jobs making shafts for saw mills and threading & tapering shafts for inboard boats (his shop was 200 yards from salt water on the south Atlantic coast). It was 18 inch swing and 12 feet centers. A nice, accurate machine, Monarch was the King of metal lathes, very well designed and made. I learned all about running a lathe on the Monarch: Speeds, feeds, threading, turning tapers, grinding tool bits. There was a monorail over the lathe with a 2 ton electric hoist, very handy when I had to machine a 10 foot piece of 6 inch diameter 4140. Putting an oil groove in a motorcycle con rod. Note the tooling bolted to the face plate, the con rod clamps to a turned area for accuracy. The adapter has different sized plugs for different bore con rods. I had 40 of them to put grooves in, half standard journal size and half were 0.010" under. This is a 13 inch lathe, the rods just barely fit! Turning a barrel blank. Smoke is from the coolant, it has a low flash point, helps to remove heat from the cut. Good 'ol machine shop smell! Between centers, using a dog and a faceplate. Is that a floating reamer holder? I'd like to get into machining some gun stuff. I'd like to re-barrel my mini-14. hseII and Mkinslow like this. Looks like you go back and rework past projects a lot? Moparmyway, hseII, srcarr52 and 4 others like this. It’s cool to see the different set ups. It gets boring seeing the same 3 jaw chuck turning an outside diameter down. Moparmyway and srcarr52 like this. I'm self taught but I pick up things quick but I've made a lot of mistakes .One was a brass acme nut for a vice .Came out perfect except it was a right hand nut for a left handed screw .Oops . I learned on an old South bend that must have came over on the Mayflower .Had about a 5 gallon bucket full of change gears and a cross milling attachment .Kind of tricky but you could mill small work with it . In high school in the 60's I made key blanks from "church keys " and filed the teeth in .Itty bitty little town in a giant corn field lost in middle America .Had to do something for entertainment . KYsawman and hseII like this. First a roller bearing steady that works like a 4 jaw chuck. For those barrel jobs when you do not want to put the barrel through the headstock for some reason. Dialing in to the bore using a precision snug bore plug. Grinding the muzzle for a snug fit with the barrel band front sight ramp. Ramp will be silver soldered. OD grinding a barrel with the slack belt grinder. To take off all the old finish and remove the factory markings. Modifying a Marlin lever action in the little 9 inch South Bend. Setting up a barrel that is too short to go through the headstock. The muzzle end has been precision turned to match the bore center. Turning the barrel in the previous photo. Next step, before chambering, the OD was ground with the slack belt grinde. Termitebuffet, mdavlee and hseII like this. Wanna fool with a long throat .300 WM I’ve been sitting on for forever? mdavlee and srcarr52 like this. A three spindle gunstock duplicating machine, the NorthStar Master Carver. Includes 35 patterns, over 30 quality blanks, maybe 50 sub standard blanks for making patterns, tooling and a lot of other stuff. Have a tentative buyer, if he does not come through in the next 30 days I will put in on Gun Broker. About 100 chamber reamers in this big Kennedy Chest, most are pilot bushing type. The small containers in the top hold sets of pilot bushings. I would rather be doing this. 36 inch bar on the 'ol trusty Stihl 075. I also have an Alaskan Mill, using my 090AV with 66 inch bar. Got a bunch of big logs laying in the yard to start milling. Dropped this one several years ago. Waiting for the smaller logs to turn into firewood to give me some room for milling. All this was covered with 3 feet of snow 4 weeks ago. Photo taken in early January. I dropped these after a big windstorm before Christmas convinced me that they could, and would, fall on the boat and trailer shed and the house. Too much risk! Biggest one was 140 feet high. Shanesaw80 and srcarr52 like this. mdavlee and psuiewalsh like this. There are not any! Young people today do not want to have anything to do with careers involving mechanical skill. If a keyboard and LDC screen are not involved, get away. Combine this with the political uncorrectiveness with firearms and a great craftsman tradition in the US is going away. Throw in the new laws every time you turn around and the liability involved it is a no brainer to stay from gun work. Some kid steals his dad's custom deer rifle and goes on a rampage, everyone that ever touched the gun or any of its parts is sued, including the unlucky gun builder. Sad but true. Shanesaw80, mdavlee and hseII like this. mdavlee and hseII like this. My goodness and I thought I had a treasure trove of stuff ,pales in comparison .A lot of truth to that apprentice type stuff .We who grew up in the 1960's are probably the last of a dying breed .Nobody wants to get their hands dirty and don't know beans from apple butter about anything mechanical and could care less . Very true Al, same here. I grew up in Coastal Georgia, small town right on the salt water. My dad owned and operated a truck repair shop, he had some machinery including a 9x24 South Bend and a 18x120 Monarch. The South Bend for turning generator and starter comms, the Monarch mainly for making big truck drive shafts, but we did some work making shafts for sawmills and prop shafts for Shrimp boats, it was a fishing and logging area. He also had a big horizontal mill. All the kin folk and the kids I ran with fished, hunted, worked in some type of mechanical trade and were a good bunch of folks. Out here where I live the young people do not want anything to do with hands on work. They all want to play on keyboards. The few that are willing to have a job want to be a computer whiz and work for Microsoft. Sorry, not enough of those jobs to go around! Now that pot is legal here all the younger folks are turning into pot heads. I would love to have someone to teach the machine trades but there is just no one. And to pass on some of my tools and machinery. My goal in the next few years is to rid the shop of all gun related items, then go on to disposing of the machinery when I no longer can safely operate them, I am 72 years old. I am running ads now on a gun forum for the gunstock duplicator and related items, all gun parts, most of the firearms (keeping a few to pass on to the son in law). I have a lot of blacksmithing gear also, it will go to the son in law as he is mechanically skilled. 4 anvils, two big post vises, a nice forge, dozens and dozens of blacksmith specialty hammers, a post drill, and a lot of other things including a lot of steel stock and tool steel for forging. 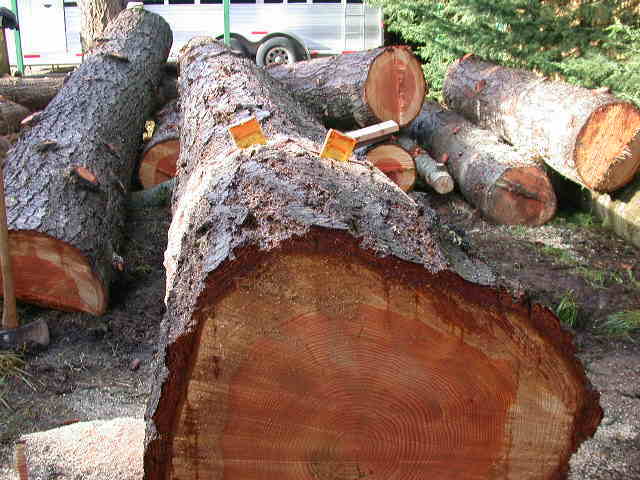 The chain saws will go to him, he is a logger/faller in the Salem, Oregon area. You only have a year on me,I'm 71 going on 25 ----part of me is ..
Any interest in my lathes?